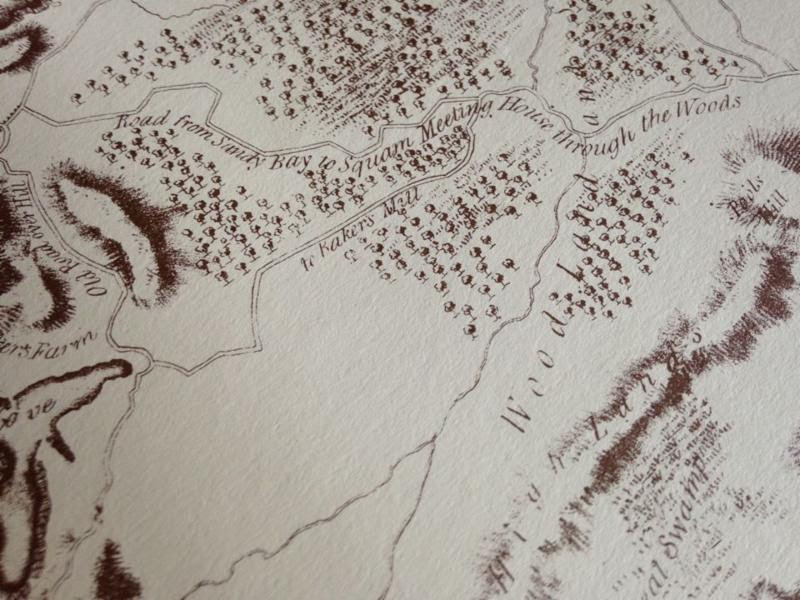 Friends, please join us on our little pilgrimage. DEVOTED FOOTSTEPS is open to all. Please forward this message to your neighbors and friends. 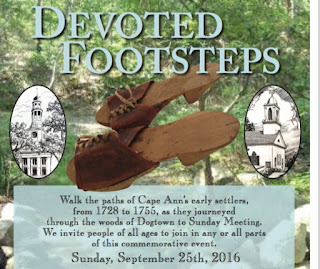 Guided hike* along historic Dogtown path from the Village Church to the Rockport Congregational Church. Refreshments, music, and dramatic surprises along the way! Designated exit points and transportation will allow for an optional shorter hike. *Children under 12 must be accompanied by a responsible adult. Protective clothing and insect repellent is very highly recommended. All hikers must sign a waiver of liability. 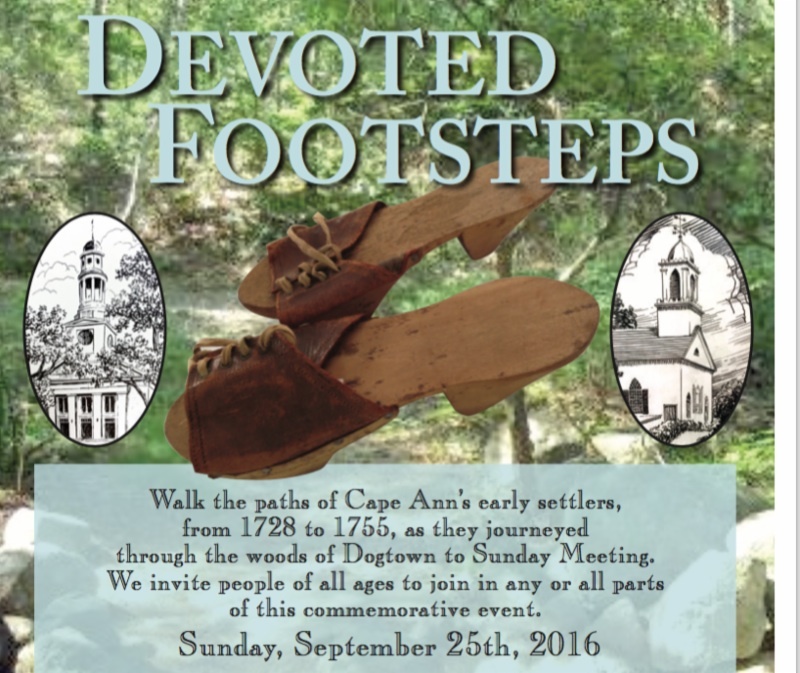 Walk the paths of Cape Ann's early settlers, from 1728 to 1755, as they journeyed through the woods of Dogtown to Sunday Meeting. We invite people of all ages to join in any or all parts of this commemorative event. Start at the AVC, follow Revere St. to Norton Memorial Forest for an historical moment before entering Dogtown woods. Please wear appropriately protective clothing and comfortable walking shoes. Bring water, bug repellent, and rain protection if necessary. Map of the "Devoted Footsteps Walk"